Many cancer survivors talk about feeling transformed during their treatment, and even afterwards. There’s a “new normal” that becomes the reality when how you feel, how you look and how you view the world is changed forever. But opportunities also arise that redefine our definitions of strength and beauty — which is perfectly represented by the image of the butterfly. These artists — one survivor, one supporter — chose the butterfly theme for their bras as a way of uplifting the new and beautiful lives of all survivors. Holding a BFA in Design from The Cleveland Institute of Art, Karen has been passionate about creating art her entire life. While Karen’s fine art pieces have lots of movement and draw upon her training as a sketch artist, her children’s art is very fun, colorful and whimsical. She combined the best of both with this moving design, using feathers, sequins and rhinestones for the butterfly and aluminum for the antennas. 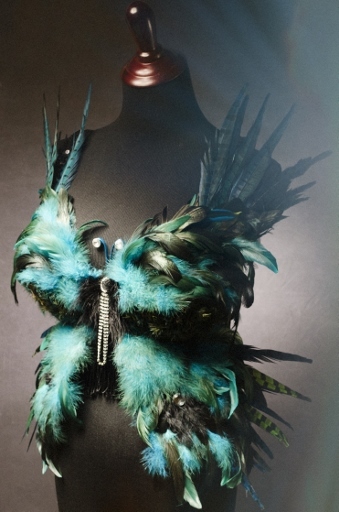 Every intricate detail was hand-sewn, using a guitar case as a stand-in mannequin until a local Victoria’s Secret had pity on her and donated a real one. 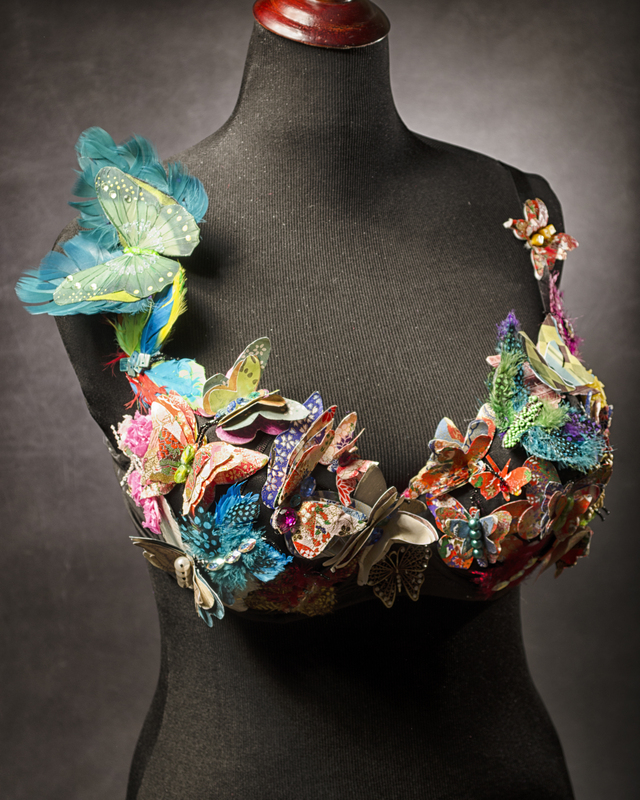 An Art Bra newcomer, Karen was inspired to create this stunning bra in honor of her friend and survivor, Dorothy Scheel.